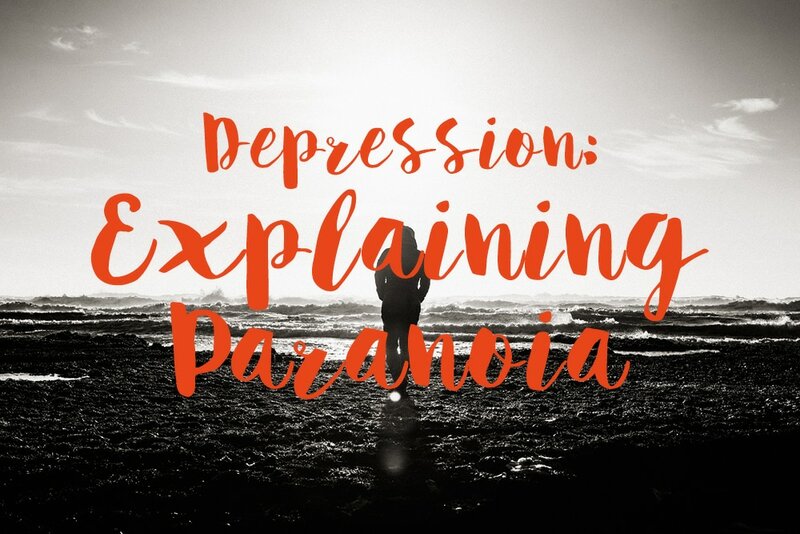 Trying to explain paranoia to someone who has never dealt with it is hard, because making sense of it in our own mind seems impossible in itself. It’s irrational, disorientating and sometimes even debilitating, but attempting to deconstruct it may help us to gain more understanding for ourselves and in turn, aid us in explaining it to others. LIfe’s trials and tribulations have a funny way of knocking the wind out of you. When things take an unexpected turn, dealing with the emotional fallout can be very hard to bounce back from. Paranoia makes you constantly aware of how bad things could potentially get, meaning you’re always alert and ready for the worst case scenario. If you’re always expecting the worst, you can emotionally prepare, and somehow rehearse all of your reactions and emotions in anticipation. It’s about gaining back some of the control that is lost when situations catch you off guard. It’s avoiding the frustration that is felt when looking back and wishing you could have handled something better, if only you knew how. It’s a vow to never feel that helpless again, because you have been mentally training yourself for the worst that you think life can throw at you. When you’re always trying to emotionally prepare for the worst, it can take it’s toll. When events play like a constant video in the mind, feeling the emotions that come along with each scenario is part of the package. The rehearsed emotional responses can manifest on the outside, and keeping them suppressed can be a battle in itself. Wanting to cry about something that hasn’t happened yet is harder enough. But trying to explain your distress to someone on the outside is even harder. Feeling drained, both physically and emotionally is not uncommon, because you are still dealing with the day to day of life alongside your paranoid thoughts. If you’re always expecting the worst, settling into happiness isn’t easy. It feels fleeting, like something that can be taken away at any time. Rather than be surprised when that happens, a paranoid mind would rather guard itself by not allowing you to get too happy in the first place. Your excitement will be dampened because you’ll be wondering what could potentially be coming around the corner to wreck it. You’ll even question whether you deserve the happiness at all because it feels like something you can never really make the most of. This may seem like an odd thing to say, but think about it. Though some of the thoughts are not rational, they show that you care a lot about how things turn out. You care deeply for your family and friends, which is why the thought of anything happening to them cuts so deep. You value your relationships so highly that the thought of having unintentionally offended someone with the tone of a text message will be on your mind all day. The feelings of those around you are never far from your mind. Paranoia will always be hard to explain to those who are not living with it. There is no off switch and there is no ‘getting over’ the thoughts that keep you awake at night, which may be hard for some to comprehend. But explaining how it makes you feel could be a step in the right direction. Many will be able to identify with feeling overwhelmed or tired, even without knowing the reasons why.